Recently, six new convenience service functions have been launched, including a mobile medical treatment service, provident fund and social security inquiries, entry and exit businesses, agriculture and forestry affairs-related services and services for car owners.Theseadded functionswill largelysimplify procedures and save time. 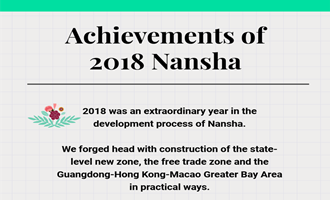 Nansha announces country's first "professional service list"
The Investment and Trade Promotion Bureau,the Finance Bureau, the Construction and Transportation Bureau, and the Judicial Bureau of Guangzhou Nansha Development Zone, recently formulated Guidelines on the Opening of the Professional Service Industry in the Nansha Area of the China (Guangdong) Pilot Free Trade Zone (2019 Edition). Here is the information of service windows in Nansha. Here are steps of expedited custom clearance by Nansha Customs, Internet+custom clearance (imported goods). Here are useful websites offerred to enterprises for registrations and other businesses. You may get information from the flow chart for the single-window business registration service. 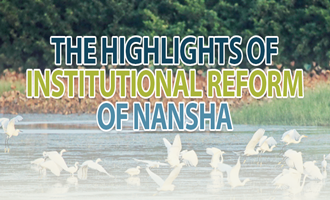 Three investment institutions in Nansha are offerred to readers.